We at Anupam Jewellers are well known for gold and silver jewellery. 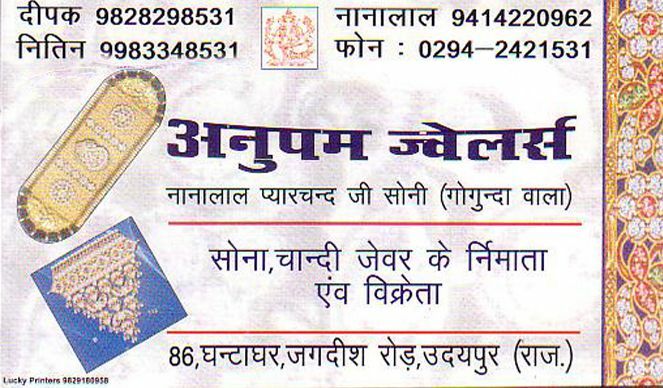 We are manufacturer and seller of all kind of traditional and modern gold, silver ornaments. manufacturering and selling of all kind of traditional and modern gold, silver ornaments.